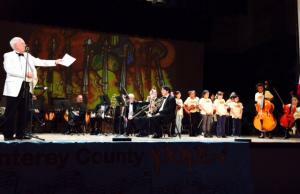 Salute To Veterans 2014 – Monterey County Pops! The concert will feature the 15-member, fully professional, Brass & Percussion Ensemble of the Pops conducted and hosted by Pops Music Director, Dr. Carl Christensen. 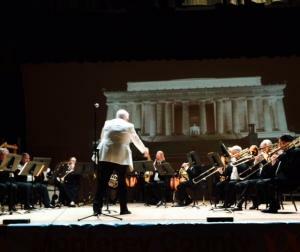 The admission free concert will focus on pops, patriotic, and Americana themes. Titles to be performed include “This Is My County”, “In the Mood”, “This Land Is Your Land”, and “Semper Fidelis March” by John Philip Sousa.. The concert will open with the presentation of the colors by a military color guard followed by the National Anthem. Service veterans will be honored by the playing of the musical themes of each branch of the armed forces. The performance will conclude with the “Battle Hymn of the Republic” during which the Pops will be joined by the Timshel Choir of King City, directed by Anthony Toohey. This and other free Pops performances are made possible by generous donations, sponsorships, and foundation grants.